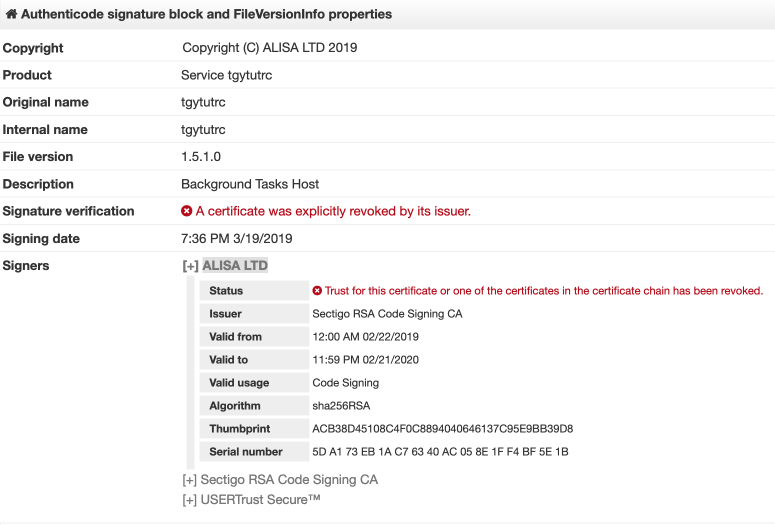 This was likely an attempt by the malware author to minimize anti-malware detection as executables that are signed using valid certificates may not be analyzed as rigorously as executables with no signature verification. The certificate has since been revoked by the issuer. During the infection process, the LockerGoga executable is copied to the %TEMP% directory on the victim system and executed. The ransomware then creates the ransom note and begins the encryption process. LockerGoga supports many of the common types of files that organizations typically use to store important data. As files are encrypted, the originals are deleted and replaced with the encrypted data, which is stored as files with the “*.LOCKED” file extension. 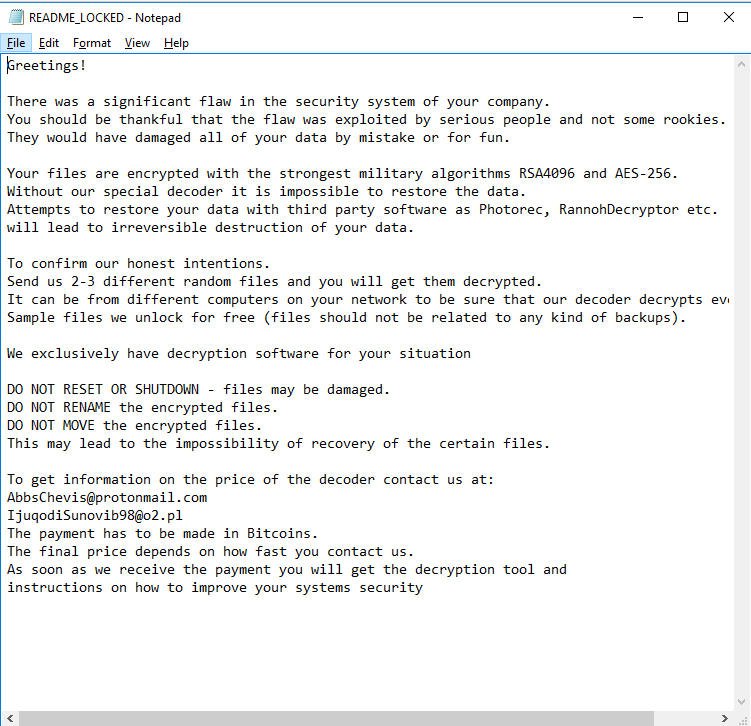 Unlike many ransomware variants commonly observed, LockerGoga also encrypts the contents of the victim’s Recycle Bin directory. One other interesting aspect of the LockerGoga variant is that the files appear to be encrypted individually. When interacting with the sample Talos observed commands being executed to encrypt each individual file, an example of which you can find below. This isn’t commonly done since it’s inefficient and creates overhead. Interestingly, unlike many of the more sophisticated ransomware variants seen in recent years, the ransom note does not include instructions for using a payment portal to process the ransom payment. It also does not include a Bitcoin or Monero wallet address and simply includes instructions for contacting the malware distributor via two email addresses that are included in the note. 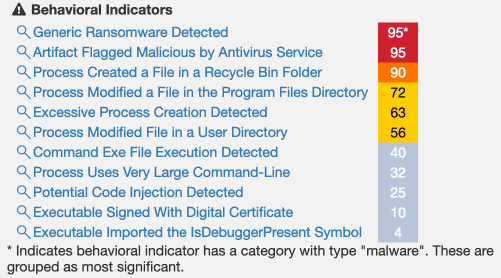 Talos has observed different emails listed across various samples that were analyzed. There also does not appear to be a dedicated command and control structure set up to facilitate remote connectivity with the attackers. The attackers are also offering to decrypt a small number of encrypted files for free as a way to further convince victims of the legitimacy of the operation and maximize the likelihood that the victim will pay the ransom demand. Additionally, Talos has observed no evidence to suggest that LockerGoga has the ability to self propagate across hosts on a network where an infection has taken place. Data is a valuable resource on all of our systems, whether that data is user photos or corporate documents. Therefore, ransomware continues to be a significant threat because it enables an attacker to steal that valuable data and hold it for ransom. Talos has seen financially motivated cybercriminals using ransomware in an attempt to generate a profit while other adversaries have used ransomware as a cover (such as the Not Petya attack) to disrupt the operation of the network, and hide their tracks by making forensic analysis more difficult. Between using active exploitation, sending a threat via email or over the web, or even using stolen or bought credentials the possibilities are virtually endless. This is where some of the basic tenets of security come into play. 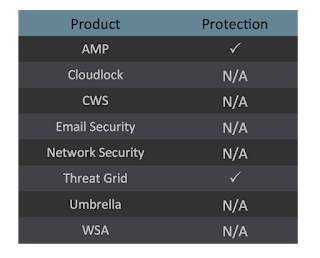 Organizations increasingly need to have near real-time visibility into their endpoints in addition to the protective capabilities that products like AMP provide. Additionally, having multi-factor authentication (MFA) like Duo, enabled on systems can help prevent initial infection or slow its spread by limiting lateral access. Following established best practices with regard to network architecture and proper network segmentation can also help minimize operational disruption from threats such as ransomware, wiper malware, etc. Talos will continue to monitor this threat to ensure that customers remain protected from any evolutions that will inevitably occur. Note: This blog post discusses active research by Talos. This information should be considered preliminary and will be updated as research continues. 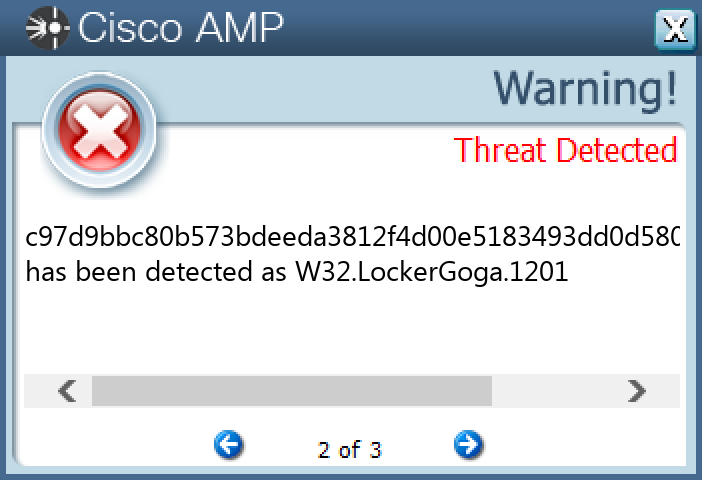 LockerGoga is currently detected by Cisco security products which can be used by organizations to protect their environments from this and other ransomware attacks. The following indicators of compromise have been observed to be associated with attacks leveraging the LockerGoga ransomware.